NBN will hold fairs in Baltimore, Chicago, Cleveland, South Florida, and Atlanta, providing information to those looking to explore aliyah. Nefesh B’Nefesh, in cooperation with Keren Kayemeth LeIsrael, Israel’s Ministry of Aliyah & Integration, the Jewish Agency for Israel and JNF-USA, will be holding informational aliyah (immigration to Israel) fairs across the United States. Staff members from the organization as well as Israeli vendors and service providers will be available to provide answers and guidance to individuals interested in making aliyah. These fall fairs are aimed at both those looking to move to Israel in the near future as well as individuals who are curious about what aliyah might entail further down the line. Nefesh B’Nefesh aliyah advisors will be available for personal meetings on a range of aliyah related topics including aliyah rights and benefits, education, healthcare and employment. They will be joined by professionals from a wide range of fields including accounting, real estate & real estate law, financial planning and insurance who will offer personal consultations to meet each person’s specific needs. 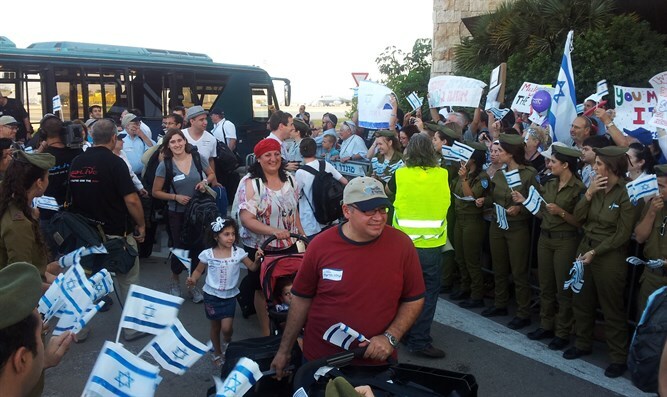 Representatives from various Israeli communities including Beit Shemesh, Haifa, Jerusalem, Migdal Haemek and Yeruham will also be on hand to introduce future olim (immigrants to Israel) to their communities, as well as representatives from The Jewish Agency for Israel, Bayit Yisraeli and Naaleh. Additionally, prospective olim attending the fairs will be able to learn more about the new joint Nefesh B’Nefesh and Keren Kayemeth LeIsrael “Go Beyond” initiative. The project aims to assist new olim in maximizing the countless opportunities offered in the country’s northern and southern frontiers, as well as Jerusalem, by investing in its infrastructure and people. Olim who will choose to make aliyah through “Go Beyond” will be offered additional enhanced benefits, including grants up to $20,000, pilot trips, regional aliyah guidance, employment opportunities and much more.